Struggle to get out of bed in the morning due to back pain? Back pain is one of the most common reason for sick days in the UK, with as many as 4 out of 5 of us falling victim to back pain at some point on our lives. If you suffer from back pain regularly it can sometimes feel like you’ve got the weight of the world on your back and that may be truer than you think. Gravity is a constant force working on your body, pulling down your spine and compressing it. This stress on your back eventually takes it toll, especially on your spine. 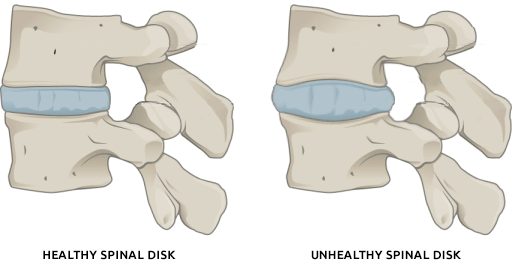 The downward pull compresses each of your vertebrae, squeezing the tissue (disks) between them. This results in the disk bulging out and interfering with the nerves in your back, causing pain in your back and other body parts. The only real time this pressure is released from your body is when you lay down, however this only offers mild relief from the pain as it just removes the pressure, it doesn’t do anything to decompress the spine and allow the disks to return to a healthy shape. If gravity compresses your spine when your upright by pulling down on it, then to stretch it out and decompress you would need gravity to work the other way. Well, unfortunately the laws of physics can’t be altered, however your body position can be. Inversion therapy essentially is you being held upside down from your feet, gravity then pulls on your body stretching out the vertebrae allowing the disks to reshape, removing, relieving back pain, and increasing long-term recovery. Don’t worry, there are simple and safe ways of performing inversion therapy, you don’t have to hang out your bedroom window by your ankles. An inversion table is one of the best, most effective and safe ways to relieve back and neck pain through inversion therapy. If you have your own inversion table you can relieve your back pain at any time of day, whether at home or in the office. Improved energy focus and mood- the extra blood flow to the brain whilst inverted increases the brains power and leads to fewer feelings of anxiety. Why chose the InvertMate Inversion Table? Hanging yourself upside down is quite a scary thought, you are putting yourself in a very vulnerable position and if you already have a bad back, falling on your head is the last thing you need. InvertMate Inversion Table was designed with your safety as the main focus. Many cheaper and more basic alternatives feel much less sturdy and safe, this creates a certain level of distrust in the product that will mean you avoid going on it, leaving back at square one. Adjustable foot hold- ensures your feet are securely but comfortably held allowing you to invert all the way round. Shoulder guard- even though your feet are secure in the hold you have the added security of two pads that will stop you from falling off the inversion table. Your shoulders will never actually touch the guard as that would stop the decompression but it there as an insurance to the foot hold. Soft grip handles- the handles on the side allow you to control your inversion gently and gradually so that you don’t spin round too quickly. The foam on the handles allows you to get a firm grip that won’t slip. As well as the safety features the InvertMate Inversion Therapy Table has a solid steel frame that can support up to 100kg (220lb) in weight. Using the InverMate is a comfortable and relaxing experience, the soft padded back board and foam pads on the neck and feet supports allow you comfortably invert and relax for back pain relief. Who should use the InvertMate?